The seven-hospital Wellmont Health System, Kingsport, Tenn., said it hired Kent Petty as its vice president and chief information officer. Petty, 45, has been working for Wellmont as a contractor since August handling two projects: computerized provider-order entry and electronic health records. Petty most recently worked as vice president of information technology for Marriott International. He has been a member of the Navy Reserves for 25 years. He earned a bachelor's degree in decision sciences from George Mason University, Fairfax, Va., and a master's degree in strategic intelligence from the Joint Military Intelligence College. 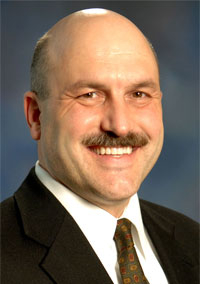 In a news release, Petty said his top priority is to ensure that Wellmont facilities have converted fully to CPOE by the October 2011 deadline required to draw on healthcare IT funding in the American Recovery and Reinvestment Act of 2009, also known as the stimulus law.